TV5 owner and businessman Manny V. Pangilinan has issued a formal apology for the "borrowed" passages in his graduation remarks before the Ateneo de Manila's batch 2010 graduates. Click here to view it. Pangilinan, or MVP, as he is popularly known in public, owns major telecommunications companies, including PLDT and Smart Communications. 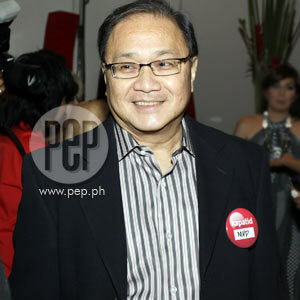 He is also the owner of fast-rising television network TV5. Aside from owning these companies, the Ateneo alumnus is also the chairman of the Ateneo Board of Trustees. The lifted portions were discovered by members of the networking site Facebook when passages of his speech were compared to other speeches, including those of U.S. President Barack Obama, late U.S. President John F. Kennedy, Harry Potter author J.K. Rowling, and popular talk show hosts Oprah Winfrey and Conan O'Brien. The discovery has been a big embarrassment to one of the country's biggest players. I have been told last night that portions of my graduation remarks–in particular my address to the Schools of Humanities and Social Sciences –had been borrowed from certain other graduation speeches. I had taken a look at the side-by-side comparison @ Facebook, and must admit to this mistake. For this, I wish to express my sincerest apology to you, the University and to the 2010 graduating class. I have had some help in the drafting of my remarks, but I take full and sole responsibility for them. In mitigation perhaps, the body and substance of my speech represented my own story and my thoughts. And I have labored long hours to get those speeches done. It is my hope that their impact has not been lost on the graduates. That said, this post fact event I am certain has devalued the words I have uttered at graduation–whether original or copied. I am told further that comments posted on Facebook have started to spill beyond graduation, and are now alluding to my misconduct with respect to Meralco, with former President Erap, and so forth. Under the circumstances, it is best for the Ateneo and myself to shorten the life of this controversy and prevent it from spinning out of control. Fr Ben, this has been a source of deep personal embarrassment for me. I am truly regretful for it. I already have too many battles to fight, and some of them I wish not to have to fight. In this instance, I do not want to, and would seek only the honourable and principled way out. The matter at hand may rest after this public apology, but it gives me a lot of personal discomfort to continue to be closely involved with Ateneo affairs after this incident. I am afraid the damage has been done–wala talaga akong mukhang ihaharap pagkatapos. With much regret, Fr Ben, I would wish to retire from my official duties at the Ateneo. With all good wishes to you and to our graduates. MIXED REACTIONS. Fr. Nebres, in his response to Pangilinan's apology, stated that there was no need for the businessman to resign from his duties as Ateneo trustee. He added that "this happened without your full awareness, though you take full and sole responsibility." Such an act of humility from Pangilinan has, according to Fr. Nebres, "failed to diminish our admiration and respect for your person and for your care and accomplishments for our country and for the Ateneo." The ongoing online debate on Facebook relating to this issue has brought forth a number of discussions, with a number of people praising Pangilinan for taking full responsibility for the gaffe and offering to resign as trustee. On the other hand, some have criticized the university's handling of the plagiarism case. Facebook user Michael Aquino posted, "I've known batchmates in Ateneo who were expelled or forbidden from graduating for plagiarism. Ateneo needs to show that it regards plagiarism by patrons/commencement speakers to be just as serious as plagiarism by students. But how can Ateneo do that without giving up donations?"